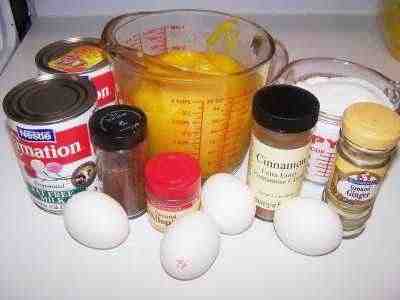 Metric Directions to Make Homemade Pumpkin Pie from a Real Pumpkin! You probably take pumpkin pie from canned pumpkin for granted. You're there, the can is there, there's a pumpkin on the label... open it and mix it up with spices to make a pie, right? Ah, but a pumpkin pie made from a fresh pumpkin tastes so much better than the glop that was processed last year! Here's how to do it, complete instructions in easy steps and fully illustrated. And it is much easier than you think, using my "patented" tips and tricks! This makes a light, fluffy pumpkin pie with a fresh, traditional pumpkin pie taste. I can assure you that this will be the best pumpkin pie you've ever made! This is also a great thing to do with your kids! Children just love pumpkins: growing them, carving them, and making a pie from them! If you like this recipe, you'll probably also like my easy pumpkin cheesecake recipe, >pumpkin bread, pumpkin butter, pumpkin soup and complete, easy directions to cook a Roast Turkey dinner, easy, tasty, healthy turkey gravy, applesauce, easy apple butter, cranberry sauce and cran-apple sauce. And if you have never canned or made jam, applesauce, apple butter, etc, before, never fear, it is easy with my canning directions. Don't forget to use see these Christmas tree farm pages to find a cut-your-own tree farm or fresh-cut farm or lot near you! They're loads of fun, often with Santa visits, sleigh rides or hayrides, sometimes even live reindeer and more. Yield: It really depends on the size of the pumpkin and the size of your pie plate. If you use a 15 cm diameter (6") pie pumpkin and a full deep dish 22 cm ( 9") pie plate, then it should fill that pie to the brim and maybe have enough extra for either a small (4 inch) shallow pie (or a crustless pie - see step 11). Just like selecting any squash, look for one that is firm, no bruises or soft spots, and a good orange color. 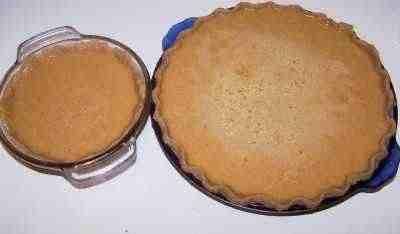 One 6" pie pumpkin usually makes one 10 inch deep dish pie and a bit extra; or 2 9 inch shallow pies! Bake at 210 C (425 F) for the first 15 minutes, then turn the temperature down to 175 C (350 F) and bake another 45 to 60 minutes, until a clean knife inserted into the center comes out clean. Making a pie with a Jack O' Lantern: A visitor writes on November 10, 2008: "I have a suggestion for those who want to use a jack o lantern pumpkin. My son was so happy when he went on his first field trip to the pumpkin patch. He made me promise to make pumpkin pies with his big giant pumpkin. I did just as you said baked it, put it in the frig over night. Then I put the pieces in a pot and cooked it until it was like mush added a big cinnamon stick and and the sugar boiled some of the water out and 4 great pies. Thank you for your recipe it worked wonder full!!!" Covering the edges of the crust: A visitor writes on November 19, 2008: "After having lost my old beloved recipe, I tried this one and have to say this one is top notch! One tip that might help to pass on (especially to new pie makers) is to cover the edges with aluminum foil to prevent the crust from burning. 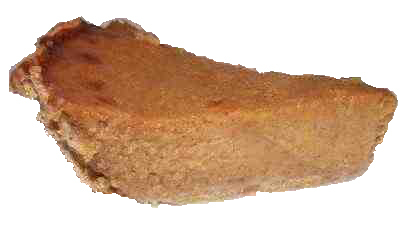 It really works and makes those yummy pie crusts as delicious as the rest of the pie!" 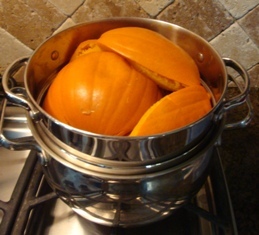 Mashing the cooked pumpkin: A visitor writes on November 26, 2008: "Hello, great site here. 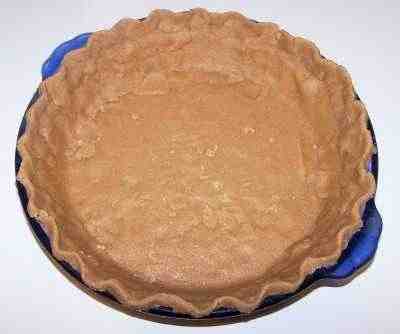 I tried your pumpkin pie recipe and it came out great. Just wanted to add my two cents on pumpkin pie making. After cooking the pumpkin and scooping it out, you can use a potato ricer to mash it. When you first put the pumpkin in ricer and squeeze the handles together you get a decent amount of water squeezed out first. 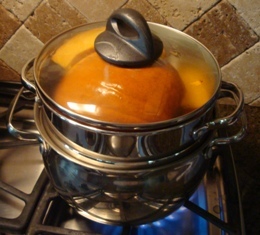 Then I put the ricer over bowl and squeeze the pumpkin out. The ricer mashes and gets water out at same time. Plus, another good thing is that a lot of the fiberous strings in pumpkin gets trapped at bottom of the ricer cup and not in the pumpkin puree. 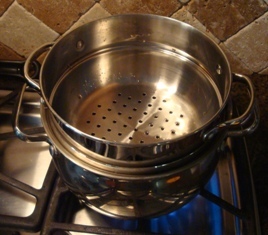 I bought my potato ricer at bed bath and beyond for fifteen bucks, so its cheap too. Hope this helps." A visitor writes on November 20, 2008: "I have made pumpkin pies from pumpkins for years and the best, most flavorful method is to cut in half, oil and roast, face down on high heat -- it carmelizes a bit, then I do drain it and boil down the water til it is thick and medium caramel color and add it to the puree -- adds a lot of flavor. yum :)"
Oven prep method: A visitor writes on November 26, 2008: "Another way to prep pumpkin that seems to get a consistent non-stringy finish regardless of pumpkin species: 1. Halve pumpkin and remove innards. 2. Place halves face-down on a greased cookie sheet. 3. Roast at 400 long enough for skins to visibly darken. 4. All species will come out firm, golden, and generally already separated from the shell. 5. Puree can be accomplished with a potato masher if desired. More watery pumpkins will drain and cook like pie pumpkins. Though messier in your oven, I have the best luck using a flat cookie sheet that allows the water to drain off and burn in the oven." Starting with a frozen pumpkin: A visitor writes on November 27, 2008: "Just wanted to add to your ideas about making pumpkin pies out of fresh pumpkins. I was preparing to make my pies for Thanksgiving and realized I had forgot to buy pumpkin. I read your site about the different ways to make pumpkin pies from fresh pumpkin ~ and, having pumpkins on my front porch for fall decorations, I went and grabbed one to use only to discover it had been frozen solid! (Our temps had dropped to 7° a few days before.) I had no choice but to give it a try. As it started to thaw it became soft. Here's what I did: Cut out the stem, cut the whole thing in half, scooped out the seeds, peeled the halves - I actually cut those in half to make peeling easier - and cubed the remaining into little bitty pieces. I put it all in a large covered sauce pan and slowly cooked it. Once they got soft enough I took a potato masher to it and cooked some more. Worked GREAT! I'll put it in a blender before using, but it was easy! Just cook real slow so as not to burn or scorch. 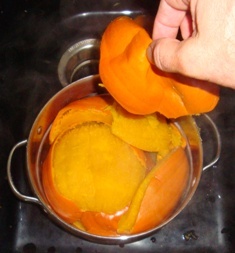 But the frozen pumpkin started the break-down process and made cooking them much quicker and simpler. Just thought it a good alternative if anyone was interested. Thanks for the great site!!" Most likely it was the variety of pumpkin you grew – some are more watery. The small (8 inches across) “pie” pumpkins like they sell in Kroger are best. Next year choose a variety to grow that says it is good for pies, such as “Connecticut Field” or “pie pumpkin”. Generally, these varieties are also more sweet, finer grained and less watery than Jack O Lantern pumpkins. 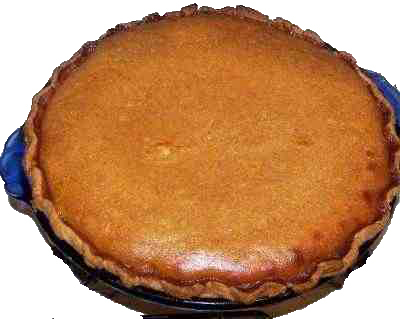 A visitor writes on November 21, 2017: "I was never a fan of pumpkin pie, but i made your recipe for my wife and it was great. Every time i make it i always end up with extra pumpkin filling. I found a good use for it. I have a really nice banana bread recipe that i thought i would try the pumpkin one. I followed the recipe as is but replaced the banana goop, with the left over pumpkin pie filling. It made a great pumpkin bread. Thank you for a great recipe." A visitor writes on October 10, 2008: "Just wanted to say i've been using this recipe for about 3 years now and everyone who tries it loves it. even the ones who claim to dislike pumpkin. My Mom is a chef and has her own recipe that she uses, but people still prefer my pie/your recipe. so just wanted to say to anyone searching the net for an easy to follow, delicious pie, look no further. Thanks." A visitor writes on October 18, 2008: "Your pumpkin pie recipe is awesome. People who had it last year loved it, and it was absolutely the best pumpkin pie I've ever had. I used a small Jack-O-Lantern last year, and this year I have a pie pumpkins. I'm looking forward to making it again, this time with the recommended produce, too! Simple stuff always tastes better. Thanks for this. It's a great site. A visitor writes on November 01, 2008: "I'm not sure if this is the right place to leave comments about your recipe, but here it goes. Yesterday for Halloween I tried making a pumpkin pie from a real pumpkin. I had some trouble cooking it and it seemed like I just kept running into problems (of my own fault), but I was determined to make this pie! When I finally got all the ingredients together I thought I had ruined it! I knew you said it would be pretty soupy but I never thought it would be like that. Plus I had TONS of left over filling! Long story short though, when I finally brought the pie out of the oven I knew my hours of labor had been worth it! It was absolutely the BEST PUMPKIN PIE my family ever had. My father, who is quite health conscious by the way, finished off half of the pie by himself! It was totally worth it and I am so excited to make more for Thanksgiving. Plus I took your advice and with the extra pumpkin filling made pumpkin pie bars, which I'm sure will be gone in no time! Thank you so much for this recipe and the step by step instruction made all the difference in the world! Signed, A Very Satisfied First Timer"
A visitor writes on November 04, 2008: "Coming from Argentina, I had never tried pumpkin pies before coming here. i LOVE THEM!!!!! I have been using your recipe for two years now and it is the ABSOLUTELY BEST PUMKING PIE EVER. Thanks for sharing it! " A visitor writes on November 20, 2008: "After pureeing my pumpkin, I put into a piece of cheesecloth folded in half, place the whole thing in a colander over a bowl or pot & leave it over night. Next day, there's not a watery drop in sight - just nice, firm pumpkin glop! "